Rogue's Fleece - Simply Stunning! 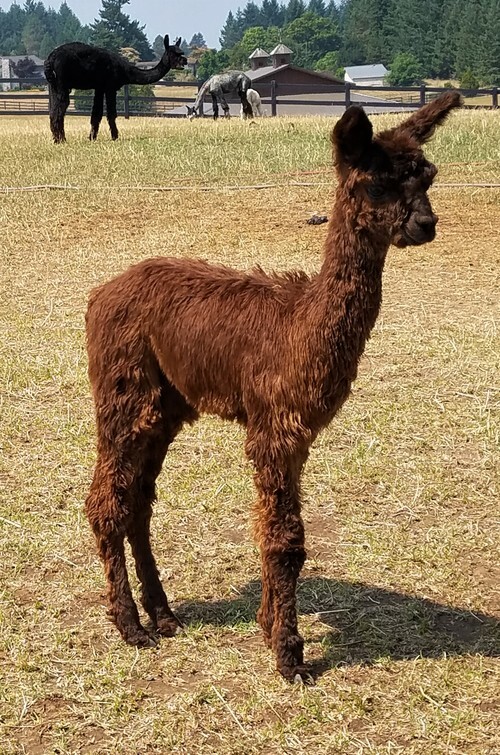 Miramonte of PVA has been a reliable producer for Park View Alpacas since 2005. Her sire, PVA Mahogany Prince, is one of our finest males that we've ever produced--and he in his turn has passed along his reputation as well as his genes. Her dam, DPA Minnie, was one of our best-ever females--her legacy can be seen in the shimmering luster inherited and passed along by her offspring. 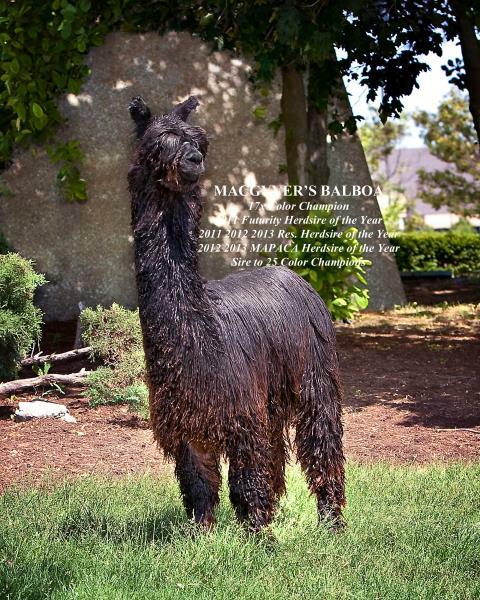 Balboa's Rogue is a product of some of the most amazing and well known genetics in the alpaca industry. 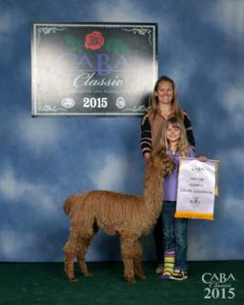 Her dam, Miramonte of PVA, has earned several Color Champion ribbons in her show career. Miramonte received a Color Champion at the 2004 AOBA Nationals and a Reserve Color Champion at the 2004 Futurity. Also in 2005, Miramonte received a Color Champion at the AWE. 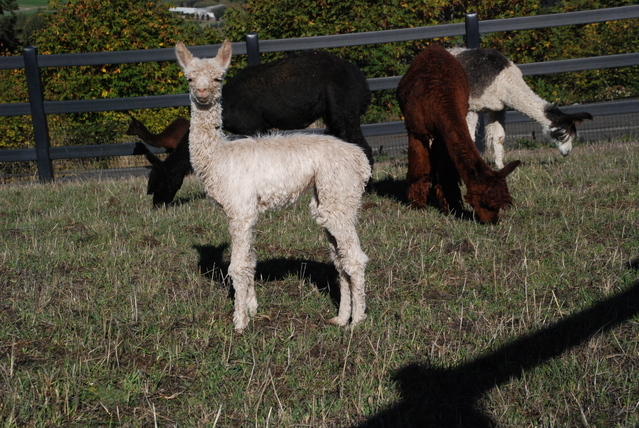 Not only has Miramonte earned herself some Color Championships, but she has also produced Color Champion offspring. 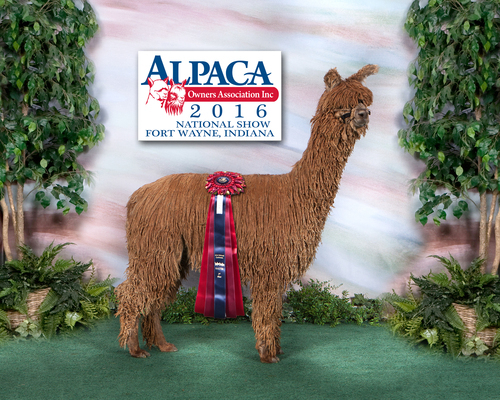 Mirante of PVA was a Color Champion at the 2009 CABA Classic and also was a Reserve Color Champion at the 2010 AOBA Nationals. Another of Miramonte's Color Champion off spring is Mikimoto of PVA, who was a Color Champion at the 2008 AOBA Nationals and also at the 2008 GWAS. Rogue's sire, MacGyver's Balboa, is a 17 time Color Champion winner and also received Dark Suri and Light Reserve Herdsire of the Year in 2011. Balboa's offspring have won over 40 Championships and 2 IAO Best Head Awards. Rogue has a white Cinders female on her side with extreme luster. Rogue will be held open until Summer 2019 breeding season.